In the first stage DESIGN Programme Chairs will check all the full paper contributions received. Submissions appropriate to DESIGN 2018 topics and scope, prepared according to invitation and instructions will be assigned for reviews. The quality of DESIGN conference events is reinforced by members of the Scientific Advisory Board that evaluate all the papers through blind review process. Each paper will be assigned at least to a three reviewers. The members of DESIGN 2018 Scientific Advisory Board are the distinguished members of The Design Society and respected researchers and professionals. The review criteria are the novelty and level of contribution, validity of conclusions, industrial or application perspective and formal qualities of the contribution. Based on the DESIGN 2018 Scientific Advisory Board evaluations the Programme Chairs will select the papers for the DESIGN 2018 conference. The decision of the Programme Chairs is final. The reviewed and accepted full papers will be published in the Conference Proceedings provided that final papers are received by the appropriate deadline and conform to the layout guidelines. The Conference Proceedings on electronic media will be distributed to all the participants at the DESIGN Conference site and will be available in hard copy on request. All the DESIGN conference publications have appropriate ISSN numbers. 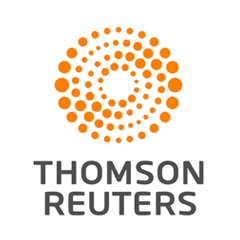 DESIGN conferences proceedings are included in Thomson Reuters Conference Proceedings Citation Index since 2002. Conference Proceedings Citation Index, accessed via Web of Science, helps researchers access the published literature from the most significant conferences, symposia, seminars, colloquia, workshops, and conventions worldwide. This resource offers a complete view of conference proceedings and their impact on global research, letting you use cited reference searching to track emerging ideas and new research beyond what is covered in the journal literature.